Good Hope Resort on the shores of Burrinjuck Dam. Photos: Supplied. You don’t have to drive all the way to the coast to enjoy an awesome day out on the water. Okay, Canberra. It’s @#$%&*! hot. The kids are really annoying bored, and there are weeks of school holidays left yet. WEEKS. You’re dying to get out and burn off some of that Christmas, ahem, ‘energy’ – but you’ve already come back from your annual coast trip and there’s no budget (or available accommodation!) for another one. What do you do? 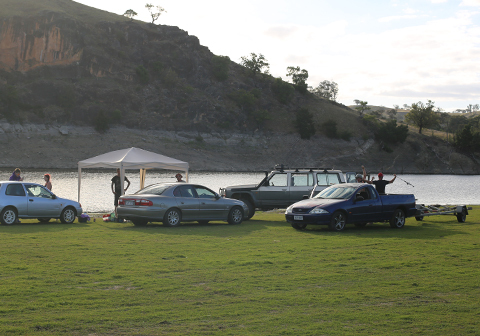 You pack the family into the car, take a short one-hour drive this Sunday, and spend an awesome day out on Burrinjuck Dam with the Canberra Motorcycle Centre and Good Hope Resort. That’s what you do. 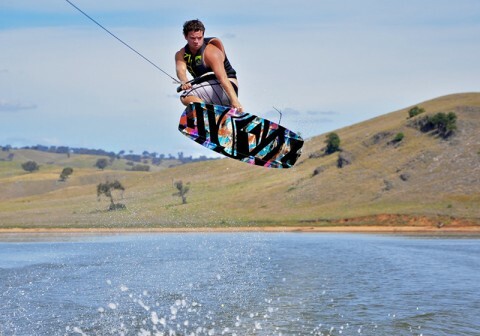 This weekend, to give you a chance to check out their range of Sea-Doo personal watercraft – and let a few more people in on the well-kept secret that is the Good Hope Resort – the Canberra Motorcycle Centre (CMCC) is hosting a community day. It’s on from 10 am to 3 pm this Sunday (13 January). CMCC Sales Director Kane Piper said the event will be ideal for current and prospective personal watercraft (PWC) owners as well as anyone who just likes to watch the adrenalin junkies at play. “You do need a PWC licence to operate a craft, but we’ll have licensed riders offering demo rides on the day as well,” he said. “Good Hope is such a fantastic location, that often gets overlooked because people just think of heading for the coast. But the facilities are great! “We love supporting local business, and the team at Good Hope is always accommodating. We always find it to be a really safe and family-friendly environment,” said Kane. 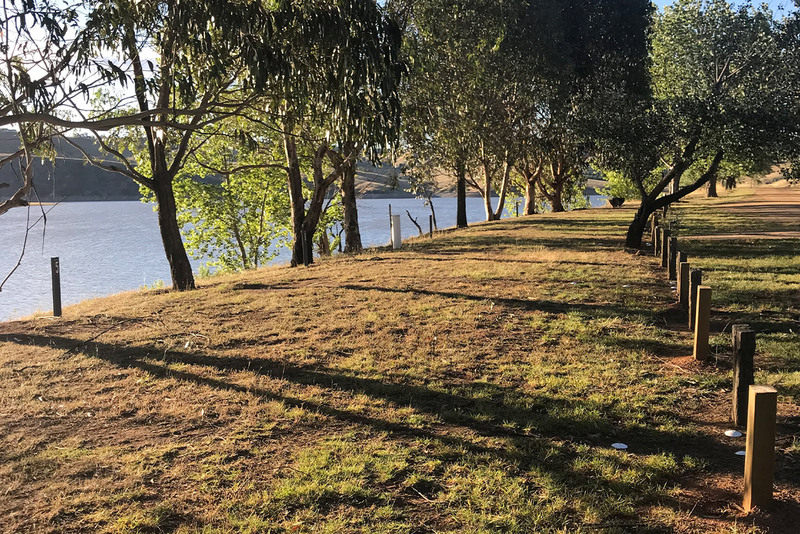 Just an hour’s drive from the Canberra city centre, Good Hope Resort is located on the sunny shores of Burrinjuck Dam at Yass. Lots of great camping spots at Good Hope Resort. Good Hope Resort is a great day out with family and friends. 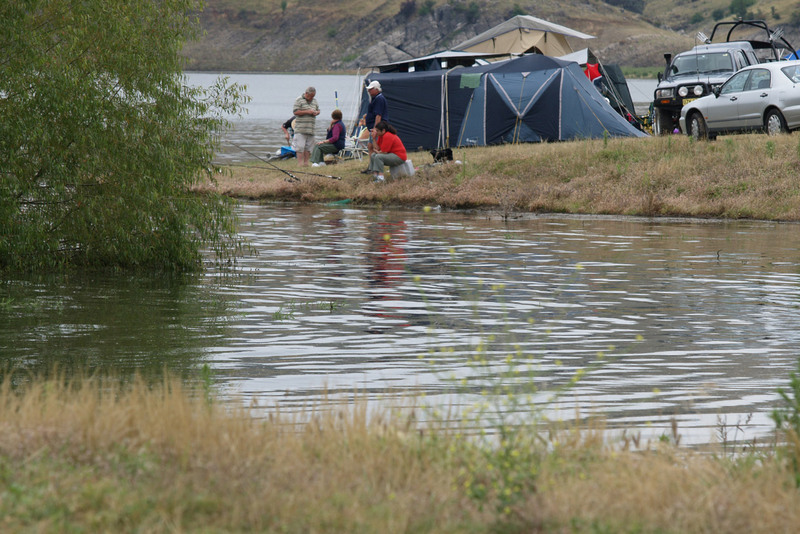 Good Hope also ideal for the fishing-lovers in your family. 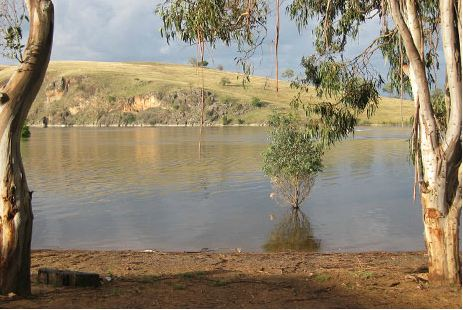 While watersports are restricted on Lake Burley Griffin, Lake Burrinjuck has about 30 times the capacity of LBG – or about twice the capacity of the Sydney Harbour. So Good Hope welcomes all kinds – including wakeboarding, water skiing, inflatable biscuits and tubes, jet skis/PWCs and boats. 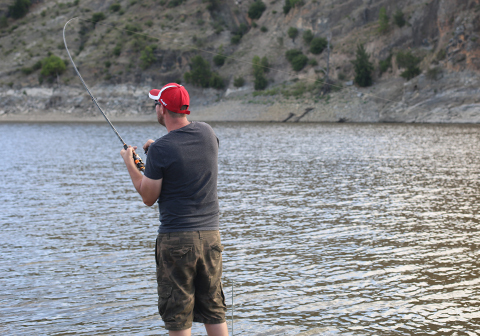 A few good practice runs on Burrinjuck Dam and this could be you! 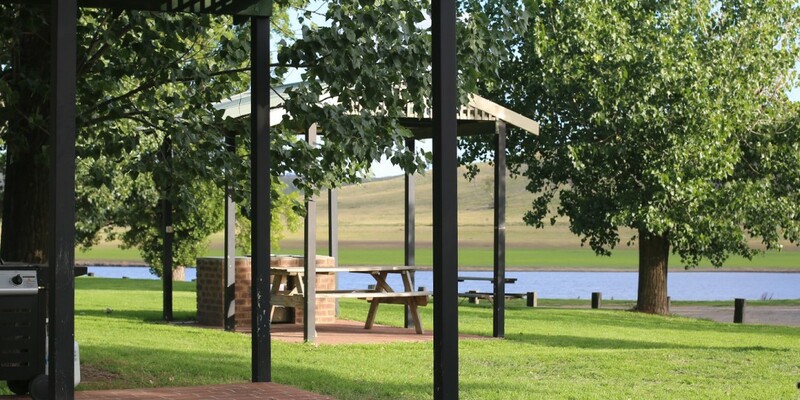 If you’d like to stay at the park, you can choose from a range of pretty shmicko cabins, as well as powered and unpowered camping sites if you’d rather pitch a tent. Befitting the title of ‘resort’, you’ll also find a swimming pool, kiosk, BBQ facilities and tennis courts on site, as well as a marine store selling water sports and fishing products, accessories and equipment. Once you’re all kitted out and ready to hit the water, you’ll find a number of boat ramps that are operational all year round, plus you’ll be able to get great advice on the best spots for fishing, swimming and more. Or if you prefer to keep to dry land, you can enquire about some adventurous off-road motorbike and quad bike tracks around the area (these aren’t always available and accessible in summer, so call the resort on 02 6227 1234 and check first). Back to the watersports though, and if you’re like me, you probably grew up referring to ‘jetskis’. But did you know the term ‘jetski’ is actually a trademarked brand? This type of vessel is actually – correctly – called a personal watercraft or PWC, and there’s a huge variety available. 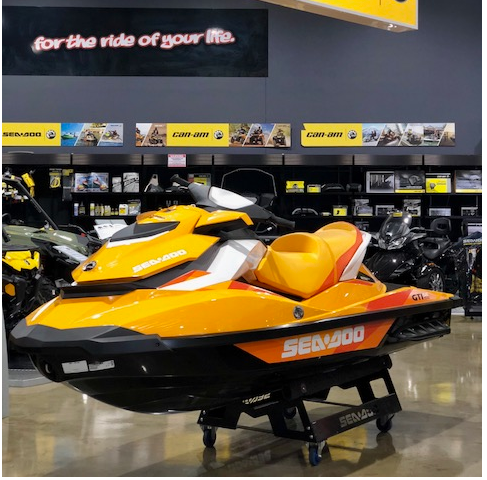 One of the most popular is the Sea-Doo range, which is available locally at the Canberra Motorcycle Centre in Fyshwick. Sea-Doos at the Canberra Motorcycle Centre. 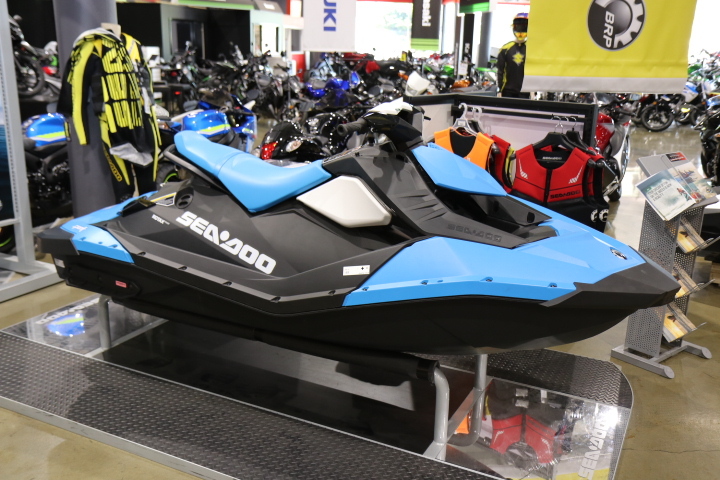 Top of the line Seadoo RXP at the Canberra Motorcycle Centre. 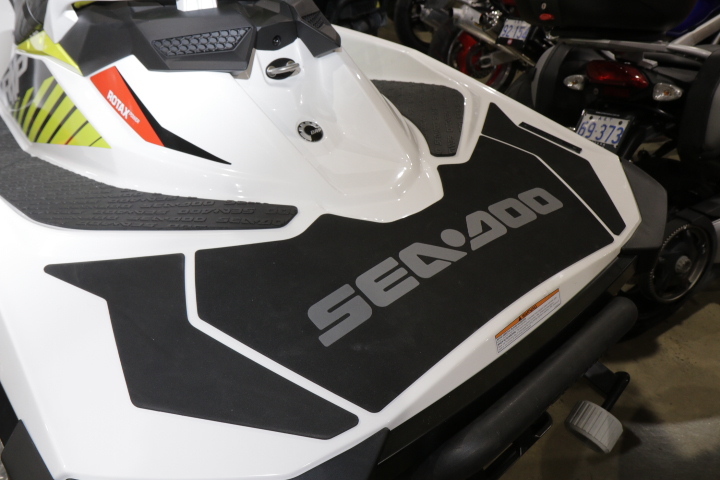 The 2017 Sea-Doo GTI155 at the Canberra Motorcycle Centre. “And PWCs are certainly part of that. They’re not a huge part of our business yet, but like many other aspects of our range, we’re really excited about growing this part of our business,” he said. “A lot of people are interested in a Sea-Doo, but wonder where and how they’ll be allowed to use it. “Now with the range of Sea-Doos we have in-store, that question has multiple answers. We have a PWC to suit everyone – starting with the Spark, designed as a fun and light PWC perfect for beginners; the new Fish Pro released this year to cater for the fishing/adventure market, and then the RXP300 for the thrill seekers! “Making sure our customers know all about the best places to hit the waves in their PWCs is an important part of that as well – which is why we’re really excited to be working with Good Hope Resort and really excited about our community day,” said Kane. How about that? An hour’s comfortable drive, and you could be on the water or kicking back on the shores with a cool drink in hand. What’s not to love about that! If you’re looking for one of those days out, where you can smile smugly as friends and strangers look upon your kids racing around and comment, “they’ll sleep well tonight!” – this is for you. Best to book online if you can (though walk-ins will be allowed on the day, numbers permitting). Click here to reserve your spot (purchase one ticket per car, not per person).